In his role, Nathan Owens crafts retention schedules, assists with records-related issues, and manages of the office’s document/records management system. 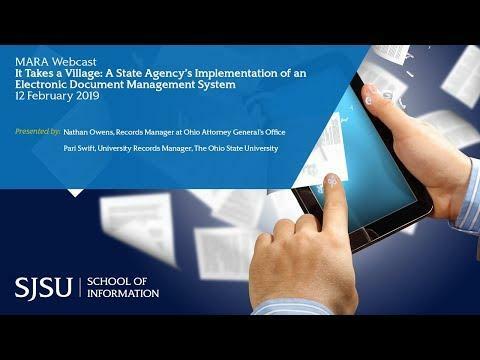 He also serves as chair of the Ohio Electronic Records Committee that develops standards and guidelines for electronic records for public entities in the state of Ohio. He has a Masters of Arts in Public History, a Masters of Library and Information Sciences, and an Information Governance Professional certification earned from ARMA International.